There's nothing that I hate more than those baby hairs you can get around your face. It has become common practice to remove all hair (eyebrows excluded) from the face area to ensure flawless makeup application. 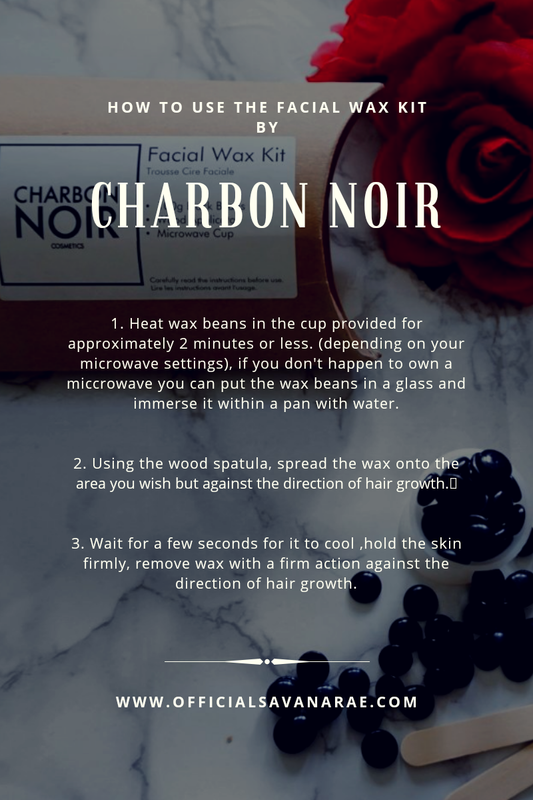 Charbon Noir Cosmetics has now released a Facial Wax Kit. 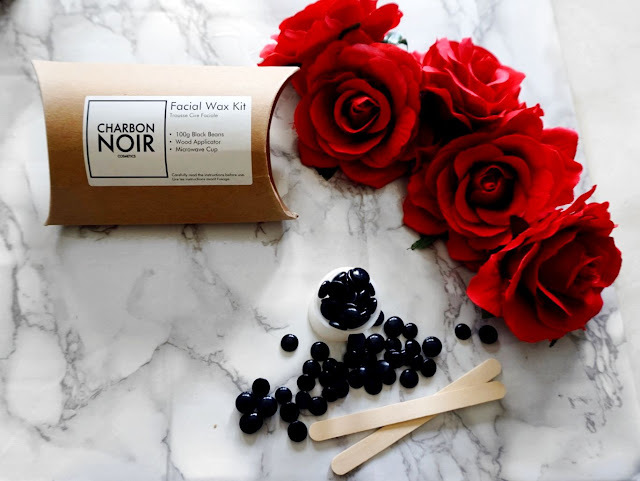 The Kit contains 100g of product which consists of black beans, one stick-free microwavable cup and a series of wood applicators. 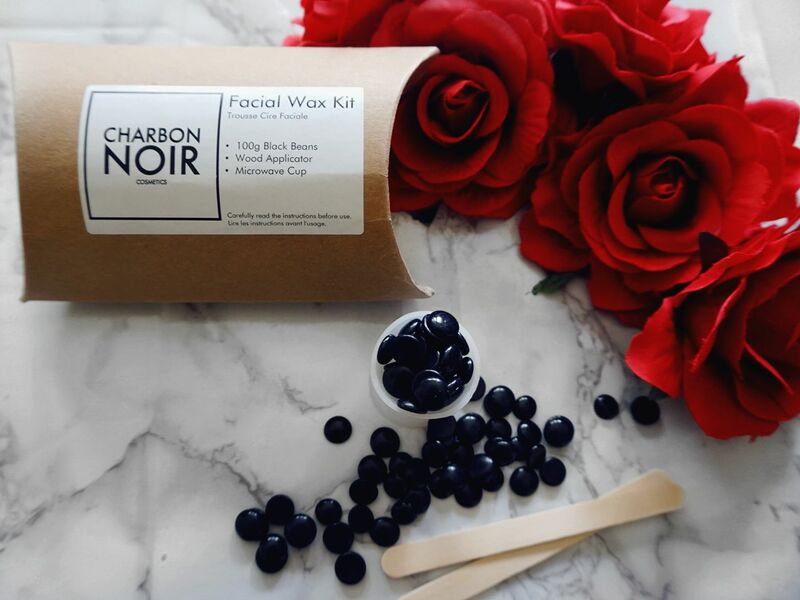 Again with all of the Charbon Noir Cosmetics range, the packaging is created in a manner that it is eco-friendly. I love how the company morals reflect on details like the packaging. This makes it all easily recyclable not polluting our much loved environment. 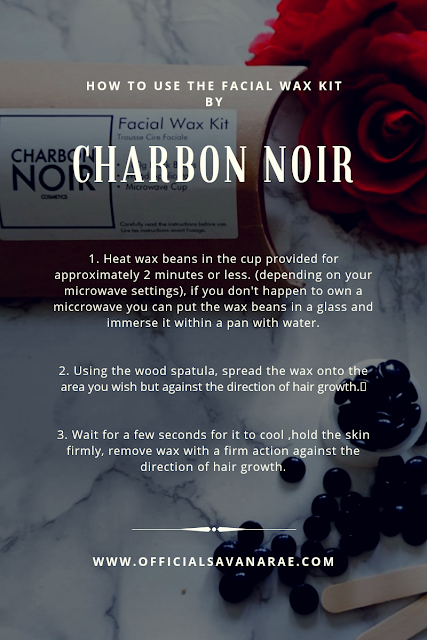 The Charbon Noir Facial wax kit is ideal for any hair you may exhibit on your face. The areas on your face which you may want to wax are to your discretion. Their black bean wax formula was created in a manner that the wax is able to adhere firmly to the hairs and not to the skin. 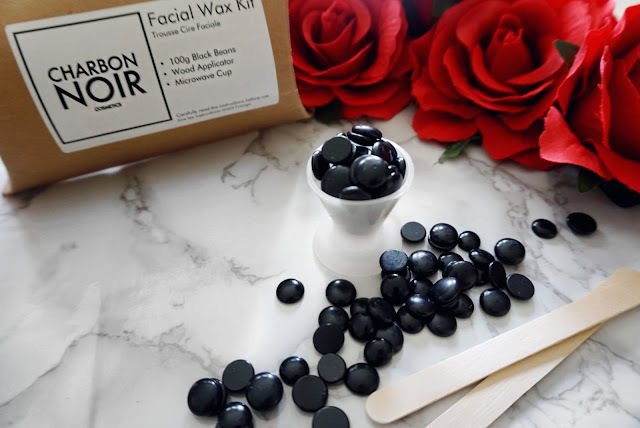 Facial skin is extremely sensitive so you have to ensure that you use waxes which are developed specifically for this area and not for generic areas. Another wonderful attribute is that you will be saving money as you can do it from the commodity of your home rather than going to your local salon. You will also be saving money on wax strips and cloths as the wax doesn't need their use. You simply lift the edge and remove the wax directly. Besides being incredibly easy to use, it only takes less than 2 minutes to heat up and about 8 minutes to cool down. Another great advantage of using wax is that it exfoliates the skin removing all dead cells. There you go, it's all done!!!!!! VERY IMPORTANT TIP- Never place very hot wax on skin as you will get burnt!!!!!!! Seems like a silly tip to mention but when you may be in a rush you may just put it directly on your skin not making sure it's way to hot. I was incredibly impressed with the kit as it easy very easy to use, it is very easy to carry with me if I travel, it has a whole kit and I wouldn't need any extras to perform the waxing. It is very healthy for the skin to wax so I am definitely pro wax. However as with all waxes make sure to use some rose water to keep the skin from being irritated. Such a pretty and affordable little portable kit that will last you quite some time. You will be surprised with the amount of uses you will get out of it. I was so impressed with this new release by Charbon Noir, they now have quite a complete set of high quality products up for purchase. 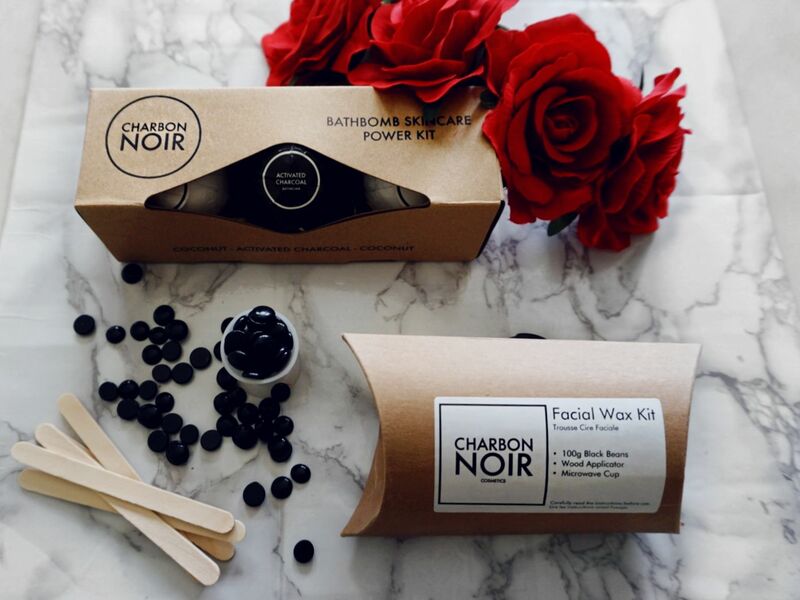 What did you think of the Charbon Noir Facial Waxing Kit? Let me know below in the comments section. This Item was provided complimentary by Charbon Noir Cosmetics for review purposes, however all the opinions are mine and truthful.